Walking is a lecture by Henry David Thoreau, first delivered at the Concord Lyceum on April 23, 1851. Thoreau read the piece a total of ten times, more than any other of his lectures. Walking was first published as an essay after his death in 1862. 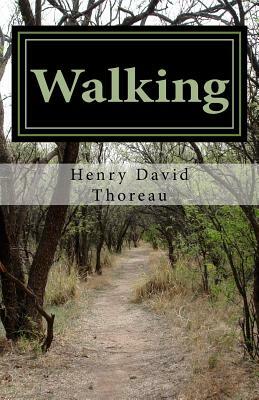 Walking is a Transcendental essay in which Henry David Thoreau talks about the importance of nature & ecology to mankind, and how people cannot survive without nature, physically, mentally, and spiritually. For Henry David Thoreau, Walking is a self reflective spiritual act that occurs only when you are away from society, that allows you to learn about who you are, and find other aspects of yourself that have been chipped away by society. Walking is an important cannon in the transcendental movement. Henry David Thoreau was considered a transcendentalist, his work of writings encompasses social sciences, political science, civil rights, philosophy, and humanities.